I’m a sucker for a lemon pasta of any kind. I love the comfort that pasta always seems to provide, with a punch of brightness. It’s a winning combination. The lemon always seems to add a bit of lightness that pasta sometimes needs; especially when the weather is getting slightly warmer and eating outside seems like it’s only a few more weeks away. This recipe is perfect for a crowd, yes, but more than anything I think it’s a perfect weeknight-meal. It takes maybe 30 minutes to throw together and there aren’t a million ingredients. And if you’d like you can cut this recipe in half and make it just for yourself. It’s qualifies as a good Dinner For One. You can also swap in what you have. Swap the cauliflower for broccoli or peas or radishes. Whatever vegetable you have in your fridge works great. 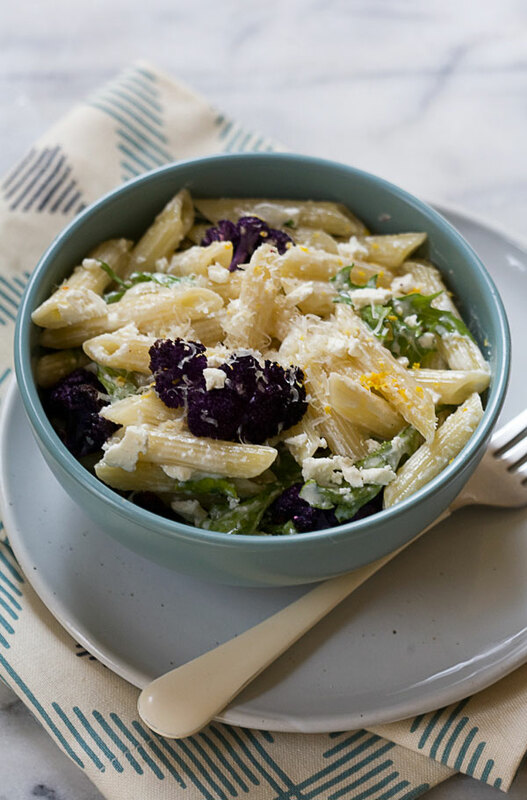 The heavy cream, lemon, Parmesan and feta are the important components here; the vegetables are merely here for a bit of freshness and good texture. 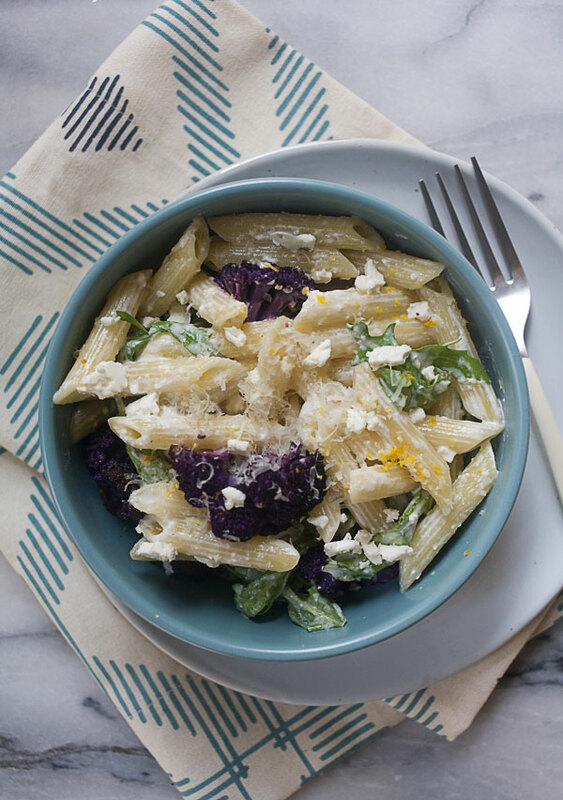 From Adrianna Adarme on the Fresh Tastes blog: This roasted cauliflower, feta, and lemon pasta recipe is a great weeknight meal. Swap in your preferred ingredients. 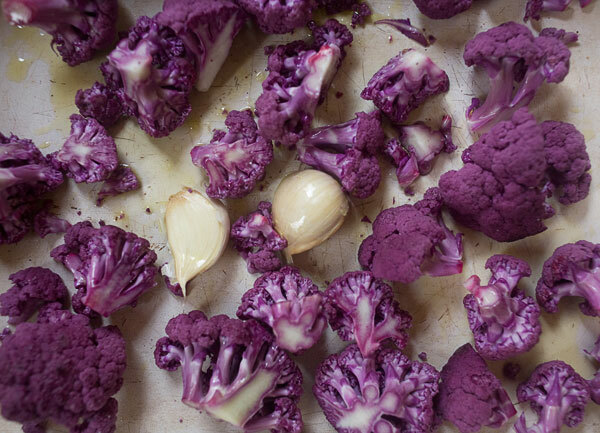 Preheat your oven to 400 degrees F. In a small baking dish, toss the cauliflower and garlic cloves with the olive oil and a few pinches of salt. Transfer to the oven and roast for 20 minutes. Carefully remove the garlic cloves and trim off the skin by cutting the ends and squeezing the garlic clove out, which will resemble a paste. Turn the oven off completely and place the cauliflower back in the oven so it stays warm while you prepare the rest of the dish. Smash the garlic with the back of your knife and add it to a large saucepan, along with the heavy cream, lemon zest, lemon juice, Parmesan-Reggiano and a few pinches of salt. Turn the heat to medium low and whisk until it reaches a gentle simmer, about 5 minutes. Meanwhile, bring a pot of salted water to a boil and add your penne pasta, cooking it per the package's instructions, about 8 minutes. Drain the pasta and add it to the large saucepan with the sauce. Toss until the pasta is completely coated. 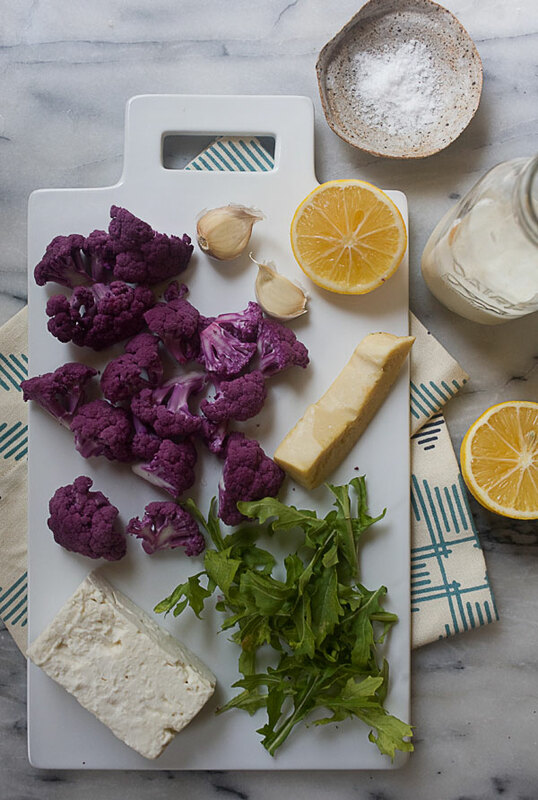 Mix in the feta cheese, arugula and reserved cauliflower florets. Give it a taste and adjust the salt, if needed. Divide between bowls and top with a bit more lemon zest and few sprinkles of parmesan cheese.